I'm normally not one to bake on a regular basis. Instead, I wait until the holidays and then give it my all. I bake enough to make up for the entire year. My mom and I have carried on this Christmas tradition for as long as I can remember. The selection is the same each year, with an occasional new recipe. 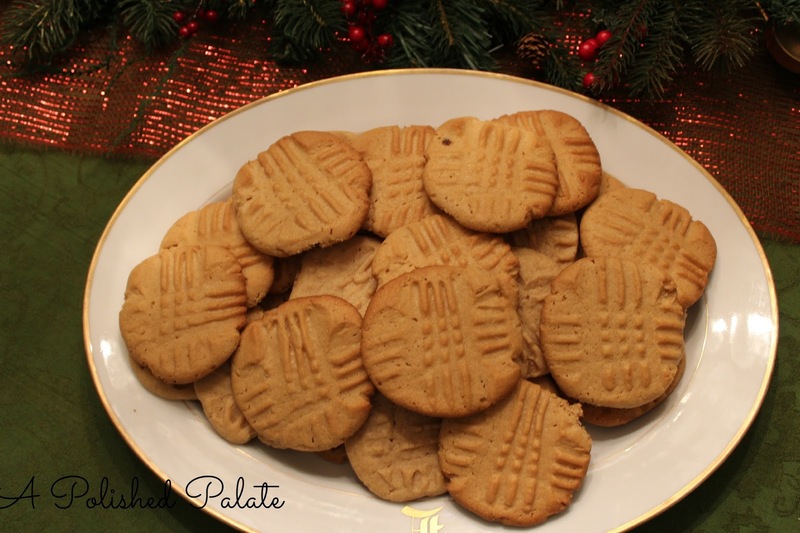 Thumbprint cookies are my favorite, my grandmother has always been a fan of cheese straws, and my dad always requests peanut butter cookies. 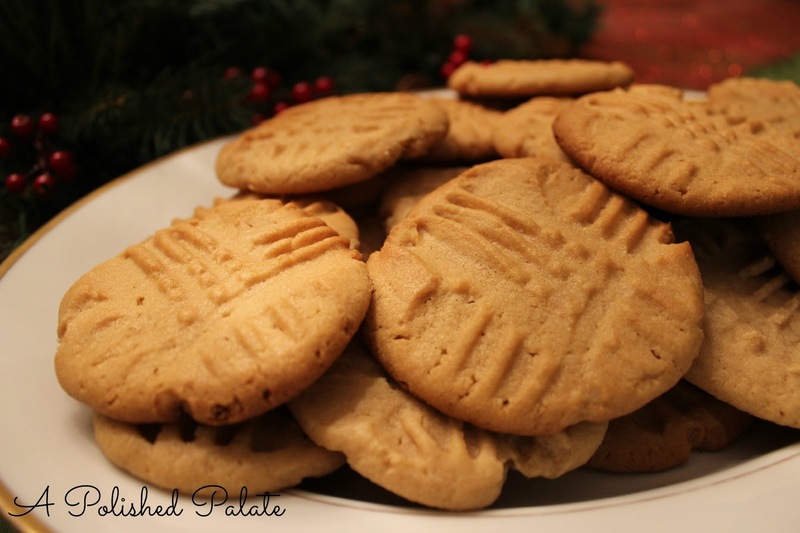 I shared some of the cookie recipes last year but realized this one never made the blog. So, today this recipe is for my dad. These cookies are really simple to make. 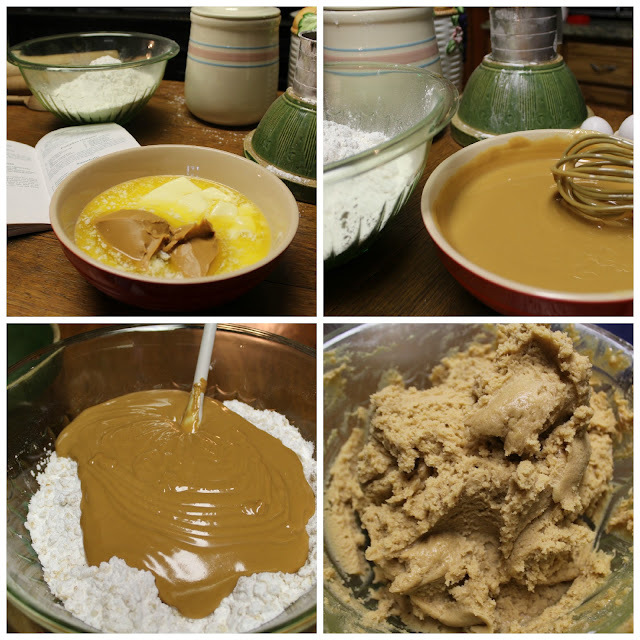 Soften some butter, add eggs, sugar, peanut butter, flour and mix well. The hardest part is being patient enough to wait on the dough to chill. I remember making these cookies with my Mama when I was a kid. She taught us how to carefully press the fork into the dough, resulting in the perfect crisscross design on the freshly baked cookies. This recipe makes enough to share...if you are able to part with them that is. 1. Preheat oven to 350 °. 2. In a large mixing bowl, melt butter and peanut butter slightly in the microwave. 3. Stir in sugars and eggs and mix well. 4. Mix flour into the peanut butter mixture and stir until smooth. 5. Refrigerate dough for 1 hour, allowing for easier handling. 6. Once the dough has chilled, remove from refrigerator. 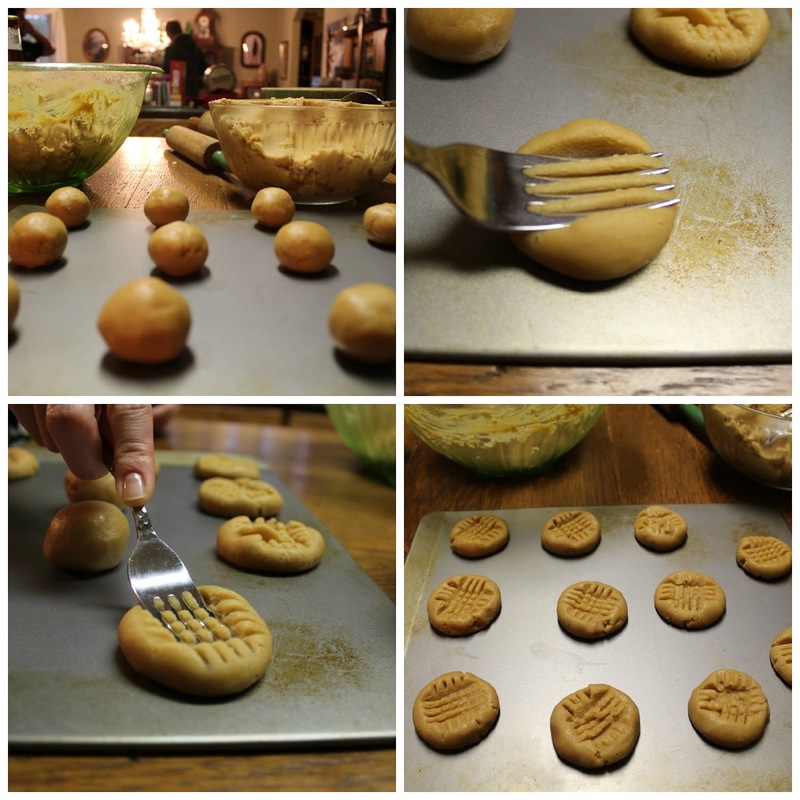 Using a teaspoon, scoop out dough onto a greased cookie sheet. 7. Flatten the cookies with a fork to make a cross design. 8. Bake cookies at 350 for approximately 8 to 10 minutes or just until the edges lightly brown. omg look at all that butter, yes yes yes. have you ever tried adding cinnamon to your pb cookies? game changer!! Yea...not exactly figure friendly. lol I've never had them with cinnamon but I sure do love it. I'm going to have to give it a try.